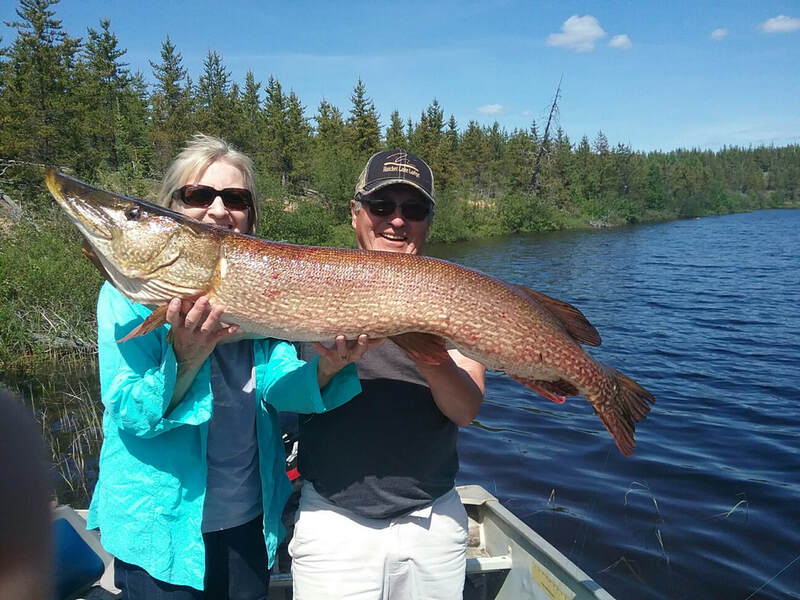 “Thank you so much for making our visit to Hatchet Lake Lodge such a positive experience. We had 10-people in our group and each and every person had a great time. The entire staff at Hatchet Lake is extremely friendly and helpful and always have a welcome smile in their face. They all possess a very high-level of customer service. My husband and I were at Hatchet Lake Lodge in June of this year (2018). Not being much of a 'fisher person', I had only planned on fishing one or two days to humour my husband. I thought I would spend the rest of the time relaxing around the lodge. However, I enjoyed myself so much that I was out fishing every day, all day long! 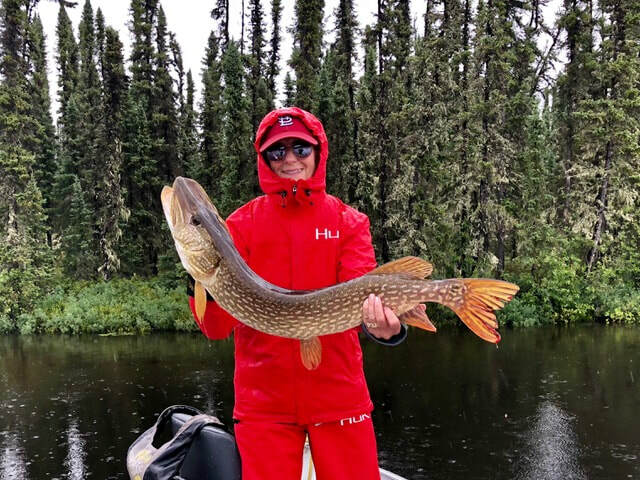 My perseverance was rewarded on the final day when I caught a 48" Northern Pike! What a thrill! Wendy, our hostess and her staff were so friendly and helpful, as was the dock staff. Our guide James was great - patient, helpful and fun. “Dear Harvey & Staff, I want to thank you for the incredible service and care that you provided to all of us, especially my father when we were up there this past season. Dad even made the comment to me that he felt all of you went beyond what is normally done to care for him. All of us boys, and my cousin really appreciated the time and attention you gave to him. We all feel very blessed to come up there and enjoy your hospitality, the family time and the memories are for a lifetime, and the fishing is excellent. Dad said the other day, 'Heck, they made it so easy; I think I have another trip in me.' That would be an answer to prayer! “Hatchet Lake was the best time he has ever had in his 16 yrs of life. Thanks for the memories! Fish On!"